An optimistic, poignant and often very funny account of how creativity can banish the disagreeables that permeate life. The hazards and secrets of the book trade and writing co-mingle with the joys of travel, family and entertaining. 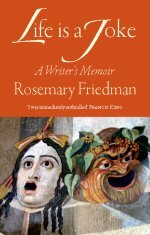 The alarums and excursions of an arson attack and the efforts to ease the lot of fellow writers imprisoned for their beliefs in democracy are eclipsed temporarily as Rosemary Friedman emerges from the valley of the shadow of death into which she is unexpectedly precipitated. 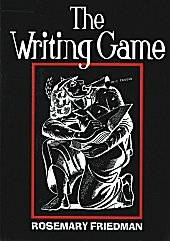 The Writing Game is an informative guide to the pitfalls and hazards of dealing with publishers (is imprint important?) and agents (do you need one? 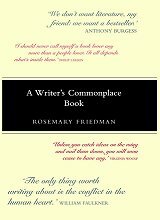 ), tells you what to do about writers’ block and how to survive the disappointments and rejections encountered by writers such as Bernard Shaw, Scott Fitzgerald, George Orwell, Vladimir Nabokov, Lewis Carroll, Somerset Maugham, Frederick Forsyth, John le Carre (told ‘he has no future’), William Golding and Iris Murdoch. Those who doubt their potential as writers would do well to remember the literary establishment’s reaction to Ian Fleming’s fiction: ‘James Bond will never sell’. The Writing Game gives the lowdown on the vexed questions of titles and book-jackets and. by way of encouragement, points out that a statue has yet to be raised to a literary critic. Chapters on Writing for the Small Screen (in which the goal-posts are constantly being moved), and Writing for the Big Screen give hilarious accounts of Friedman’s encounters with producers and directors both in the UK and Hollywood, and are interspersed with a personal account of the ups and downs of her own action packed life. The Writing Game is a must for both established and would-be writers as well as for readers who want to know how it’s done.